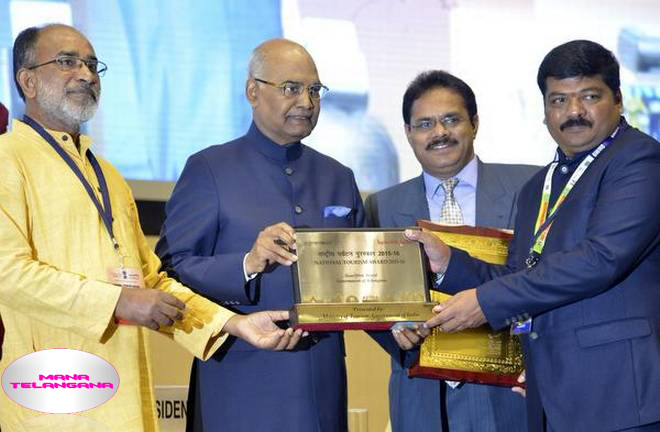 Telangana Tourism received eight awards from President Ram Nath Kovind at a programme held on the occasion of World Tourism Day at Vignan Bhavan, New Delhi on Wednesday. The President lauded Telangana state for excelling at the national level within a short time, he said. Mr Venkatesham said TS had secured five more awards this time compared to last year. He said that goal was to make Telangana the No. 1 tourism destination state.